Today's society is about speed. We no longer have to wait for the oven to warm our food because we have microwaves ready to do the work in less time. Breaking news events don't travel by telegraph across the great oceans; they are transmitted instantly with live video over the Internet or bounced from the array of satellites that float in constant, geosynchronous orbit. It comes as no surprise that supplement sales are on the rise as we continue to seek out quick, convenient ways to lose fat – fast! Losing fat is not difficult. I have been coaching clients to break through plateaus and send their fat cells running for cover for years now. So why does this continue to be an elusive goal for so many people, who “struggle” just to lose a few inches? We can address this by creating a practical guide to lose fat. Is this a special diet that will have the pounds melting off? No. Is it a secret workout program that causes you to burn fat while you sleep? Nope, not that, either — your body already does it. So what on earth can we share? Sounds almost too good to be true, doesn't it? 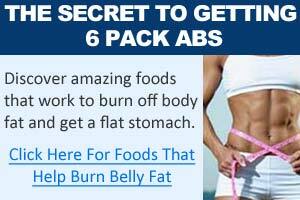 Everyone will benefit by reducing fat and increasing muscle. It's not so much your weight that may slow you down, it's the percentage of that weight that comes from fat! So how do you target the love handles and saddle bags without losing your guns or wheels, as biceps and thigh muscles are affectionately termed in the bodybuilding world? Whoa — wait a second! We all understand the idea behind moving more. That means burning more calories. But eat more? You thought it was eat less, didn't you? The truth is that you must eat more: more intelligently. You must eat more nutrient-dense foods. In turn, you will consume fewer calories. 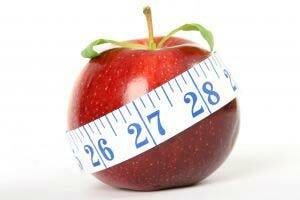 Less calories does not mean less nutrition, when done correctly. Even engineered foods (shakes, bars, and sports drinks) contain little nutritional value for the calories that go with them. There is nothing that beats nature's own packaging – fruit, vegetables, lean proteins, healthy fats, and so on. If you want to remain satisfied and full, try consuming over 50% of your calories from fresh fruit and vegetables. Your calories automatically go down, while your intake of fiber, vitamins, minerals, and other nutrients goes up. The idea is to consume foods as close to their natural state as possible. This means you'll do most of your shopping on the outer edge, or perimeter of the grocery store where the meats, eggs, and fresh produce exists, rather than in the middle, where everything comes in boxes, bags, and cans. As your calories decrease, there is a chance you may lose muscle mass. Avoid this by making your muscles resist. Your muscles don't know the difference between gravity or any other form of resistance. The way to keep them active and toned is to engage in weight bearing activity. While the majority of your training will be focused on endurance, don't neglect the power of strength training. Strength training will improve your bone density, build lean muscle mass or preserve it while you are trimming the fat while providing explosive power when you need that kick during your competition. It also helps maintain joint integrity and strength, which is necessary to combat the repeat-use syndrome many runners develop in their ankles, knees, and hips. Because your goal is not to stand on stage in a bodybuilding competition, but instead an endurance goal, keep your workouts to two or three short, intense training sessions — 20 or 30 minutes each — every week. Get in, give it 100%, and then recover and focus on the rest of your training. Stretch thoroughly. There is an added benefit as well: resistance training burns calories for hours after you are finished, and studies show the combination of resistance training and aerobics burns more fat than aerobics alone. Want a recipe for disaster? Try doing too much, too soon. Most people grasp this concept with training, so why do they fall short when it comes to nutrition? Think “better,” not “perfect” when changing your nutrition habits. You want to crash? Go on a diet. You want to change? Transform your lifestyle. Small changes over time tend to last longer than quick-fixes like fad diets or magic bullet pills and supplements. 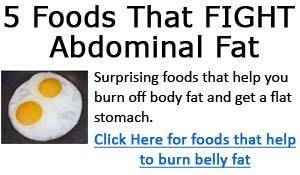 If you are like most people, you did not suddenly gain fat overnight. It was a gradual transition. So why should you expect losing the weight to be any faster? Take it slow. A pound of weight per week is a good rule of thumb for permanent fat loss. Anything faster may be too restrictive and could be lean mass (even muscle) instead of simply fat weight. Perhaps the most useful tool for losing fat isn't a nutrition guide or workout program after all — it is a trait. Patience is by far the most powerful tool to lose fat and keep it off.